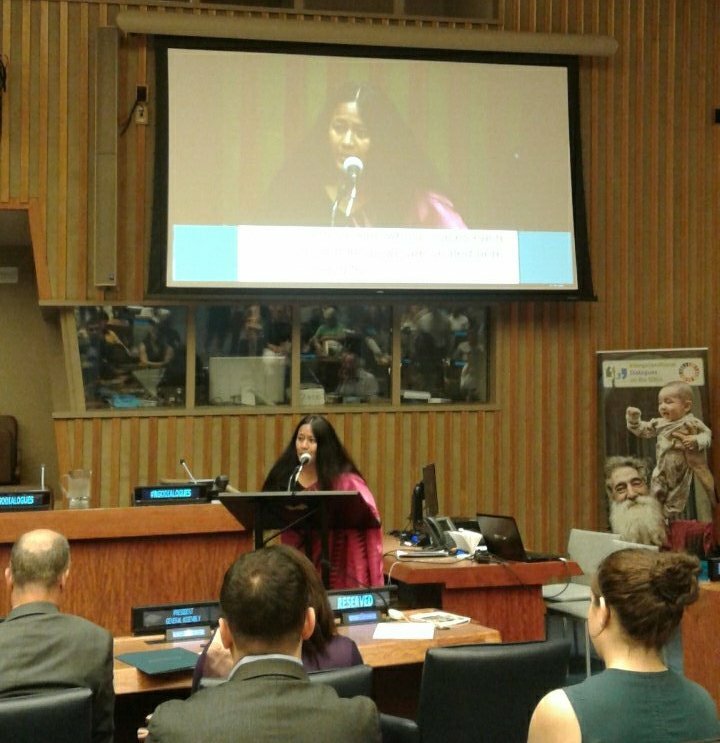 2 August 2017: Manipur born, renowned writer, social activist, Ms Binalakshmi Nepram spoke at Plenary Session on 1 August 2017 at United Nations Headquarters in New York on Inter-generational Dialogue on Sustainable Development Goals. Governments and people & NGOs from different walks of life numbering over 500 gathered at this important event held at UN HQ. 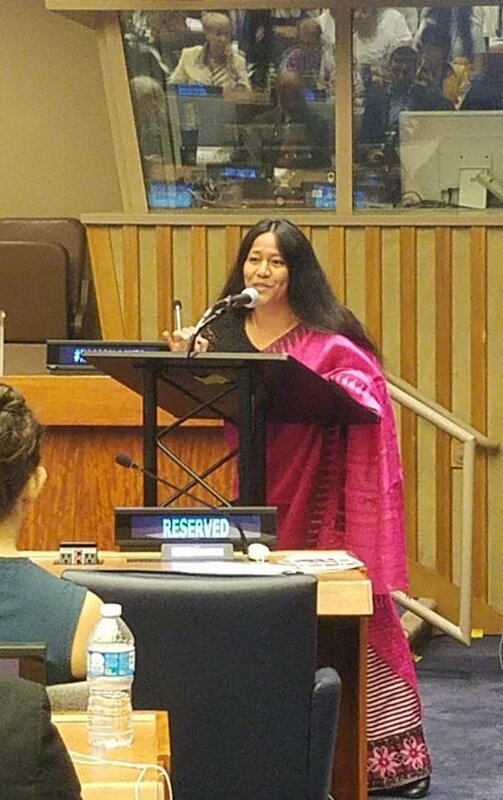 Addressing the gathering Ms Binalakshmi Nepram covered Manipur’s history and its ongoing violence and explained to the audience how Manipur Women Gun Survivors Network was set up to help empower lives of women survivors of violence in true spirit of UN’s Sustainable Development Goals.